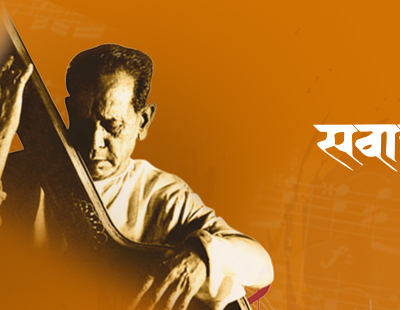 One of the best-known sarod players of the present generation, Pandit Tejendra Narayan Majumdar, has long achieved that order of excellence and popular acceptability, which ensure one's place in posterity. Early initiation into music by his grandfather, Late Bibhuti Ranjan Majumdar and later his father, Late Ranjan Majumdar, nurtured Tejendra's considerable talent. Vocal and rhythm training under Late Pandit Amaresh Chowdhury and Sri Anil Palit further ensured a holistic musical development. Tejendra was then accepted by Late Ustad Bahadur Khan as his disciple. Aruna Sairam was born in Bombay - a city whose rich cultural life embraces the majority of India's artistic fields - into a family with a deep love for music. Her mother, the singer Smt. Rajalakshmi Sethuraman, was her first teacher in the art of Carnatic music, while her father, a fine and knowledgeable connoisseur, established their house in Bombay as a favorite guest home for the greatest musicians and dancers from both Northern and Southern India, such as the dancer Smt. T. Balaraswati, the Khayal singer Ustad Amir Khan and the Carnatic flutist Sri. T. R.
Madhuri started taking lessons in Hindustani classical vocal music right from her early childhood from Late Shri. Govindrao Desai of Gopal Gayan Samaj of Pune. In 1957 she got the first prize in Music at the Secondary School Certificate Examination conducted by the S.S.C. Board, Pune. In 1959, she received from Dr. Rajendra Prasad, the President Gold Medal for having stood first in All Radio Music Competition. Her training at in Hindustani Classical Vocal Music continued at Calcutta under the able guidance of Smt. Malavika Kanan and subsequently from Padmashree Smt. Manik Varma. Born on the auspicious day of Shri Ganesh Chaturthi on 4th September, 1948, in the family of Keerankaars, he absorbed the 'Sanskaaras' of music. A child prodigy, blessed with parents loving encouragement and deep involvement in music, Vinayak began early lessons at a tender age of nine, from Vidwan Tammanna Gurav and then continued with Vidwans Narayanachar Dandapur and Narayan Rao Muzumdar of Dharwad. The soulful tunes of India’s ace flautist Ronu Mujumdar transport the audience to divine realms. Ronu trained under his father Dr. Bhanu Majumdar, late Pt. Lakshman Prasad Jaipurwale and Pt. Vijay Raghav Rao. He is rooted in Maihar gharana and also received training from Pt. Ravi Shankar.His albums are timeless and he has Grammy Nomination to his credit. Ronuji has composed music for India’s first imax movie ‘Mystic India’. His performances in Russia, Europe, America and Asia have won acclaims. Internationally renowned Hindustani classical vocalist Dr. Prabha Atre is perhaps the only performer who has also excelled as a brilliant thinker, academician, author, composer and teacher of music. She is the senior most (completing 80 on 13th Sept 2012), front ranking vocalists in the country representing the Kirana gharaanaa, today. A Science and Law graduate, she also holds a Doctorate in music.